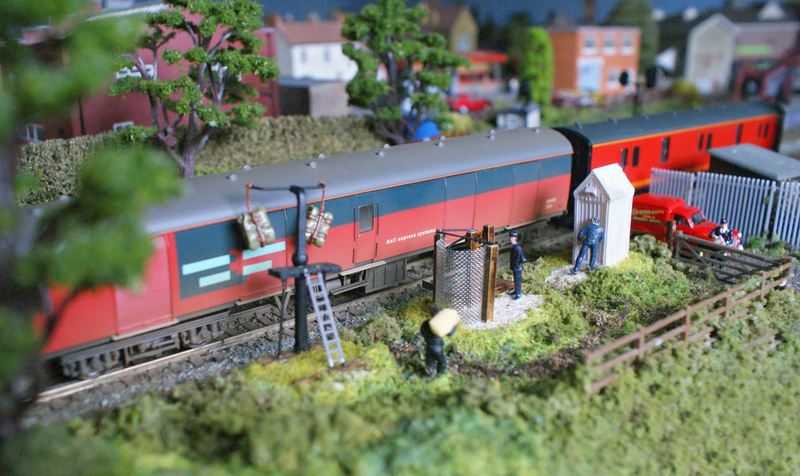 As we have recently started adding a few items of Royal Mail rolling stock to our fleet we thought that we ought to add the Bachmann Scenecraft TPO Apparatus somewhere on the layout. This would then enable future Royal Mail trains to deliver and collect letters and parcels whilst on the move! A post with two arms, holding mail bags ready for collection by the passing mail train. 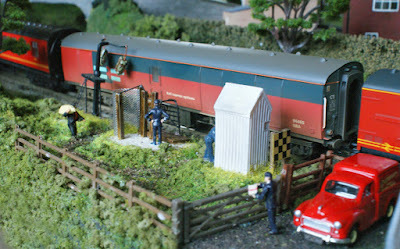 Sadly this is a non-working item but it does look good and fits in well with our mail coaches.